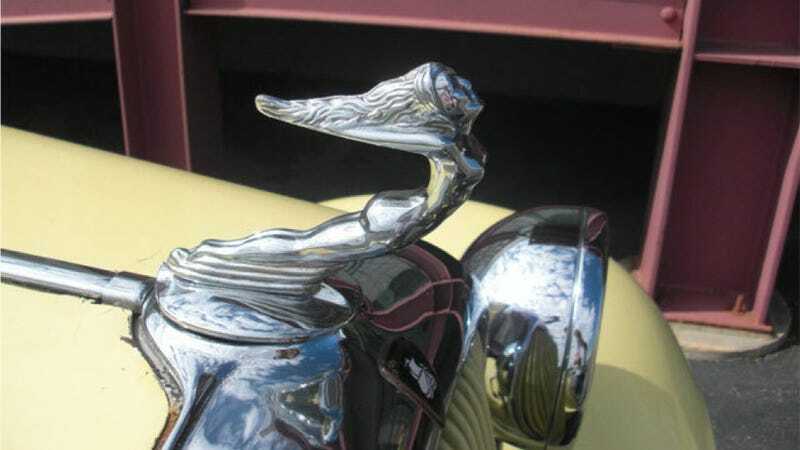 A Denver classic car museum is trying to recover a hood ornament that was stolen off a rare 1932 Plymouth PB roadster last week. Repeat after me: Who steals a hood ornament? According to ABC 7 News in Denver, the Forney Museum of Transportation isn't exactly sure when the hood ornament disappeared, but they think someone swiped it off the yellow convertible at some point last week. "It's a shame," Kheim said of the theft. "They're not just harming the museum, but they're harming the exhibits that are here for everyone to enjoy. There's a few bad apples out there that ruined it for everybody else." "We just want what belonged to the car returned," he added. The Denver Post reports that the museum's Plymouth is one of less than 12 known to exist. The hood ornament alone is worth about about $500. Here's maybe the worst part: the radiator cap was stolen as well, causing folks in the museum to drop trash inside it. Come on, people! Have you no decency at all? Ugh. Just ugh. Well, Jalops, the world knows how good you are at recovering stolen cars. This one's a much taller (well, smaller, technically) order, so the best we can do is try to spread the word that it's been stolen in case someone tries to pawn it or something. What do you do with a hood ornament from a '32 Plymouth, anyway? Hat tip to John Kelley!